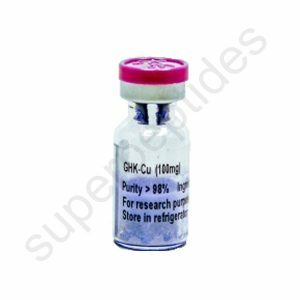 This peptide is available in acetate form. 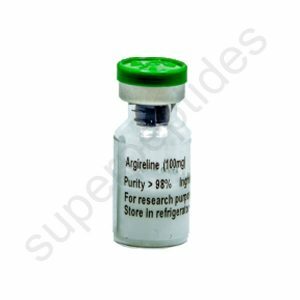 **Pictures are of one product, in a single vial. 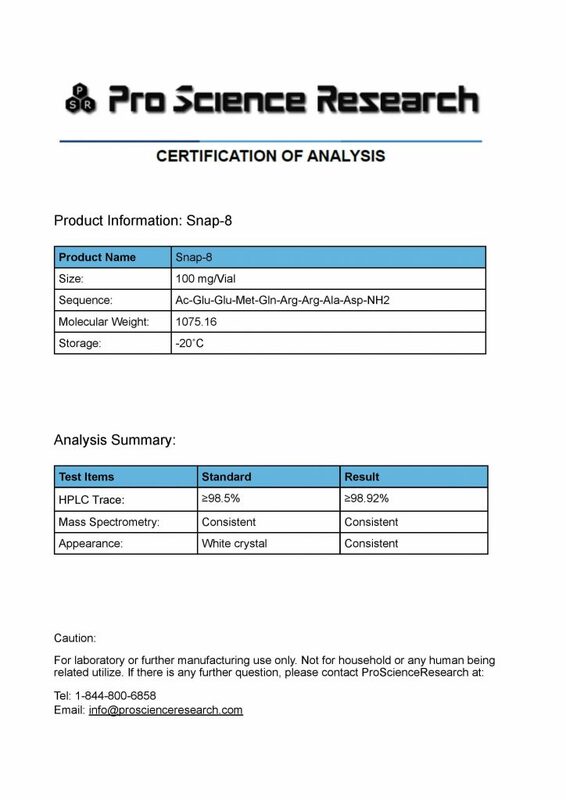 Slight variations in color such as that of the cap are to be expected in the final product. 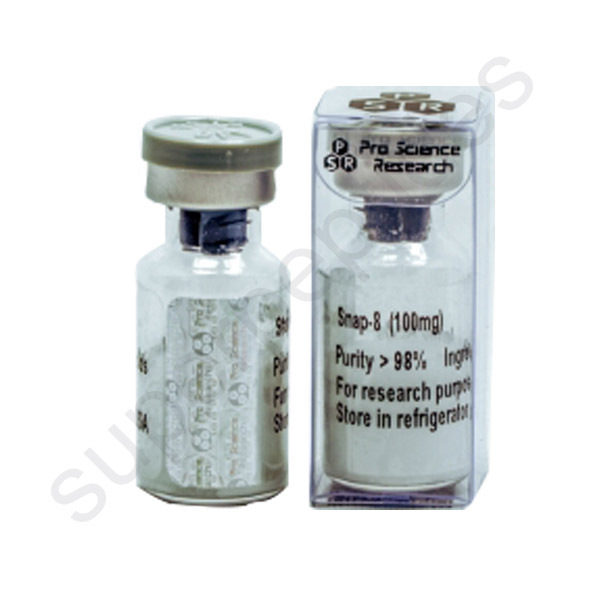 SNAP 8 peptide’s scientific name is Acetyle Glutamyl Heptapeptide-1. 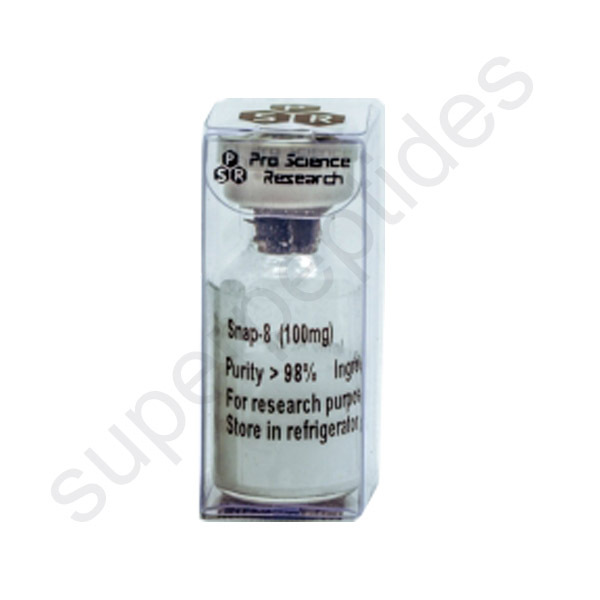 SNAP-8 is a mimic of the N-terminal end of SNAP-25. 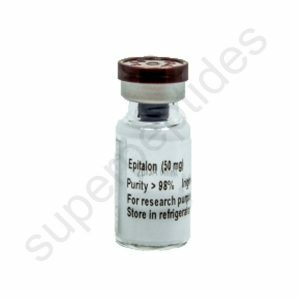 Snap-8 is an octapeptide that reduces the depth of wrinkles caused by facial muscle contractions, being potentially safer and cheaper alternative to botox like injections. 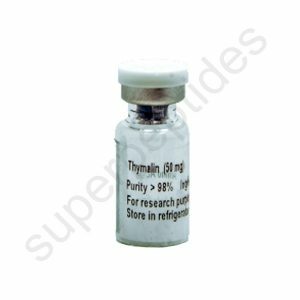 Snap-8 has been shown in research studies to help decrease the visible effects of ageing by helping to reduce the deep wrinkles and lines that occur around the forehead and eyes. 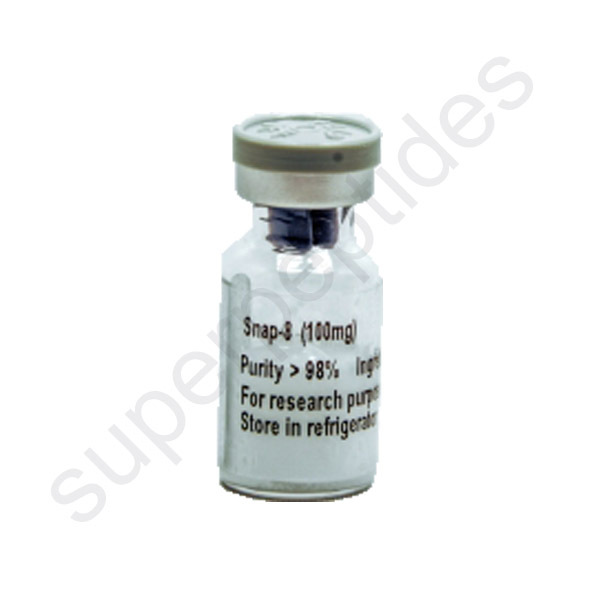 SNAP-8 has been incorporated in cosmetic formulations such as emulsions, gels, creams etc., where removal of the deep lines or wrinkles in the forehead or around the eyes area is desired.